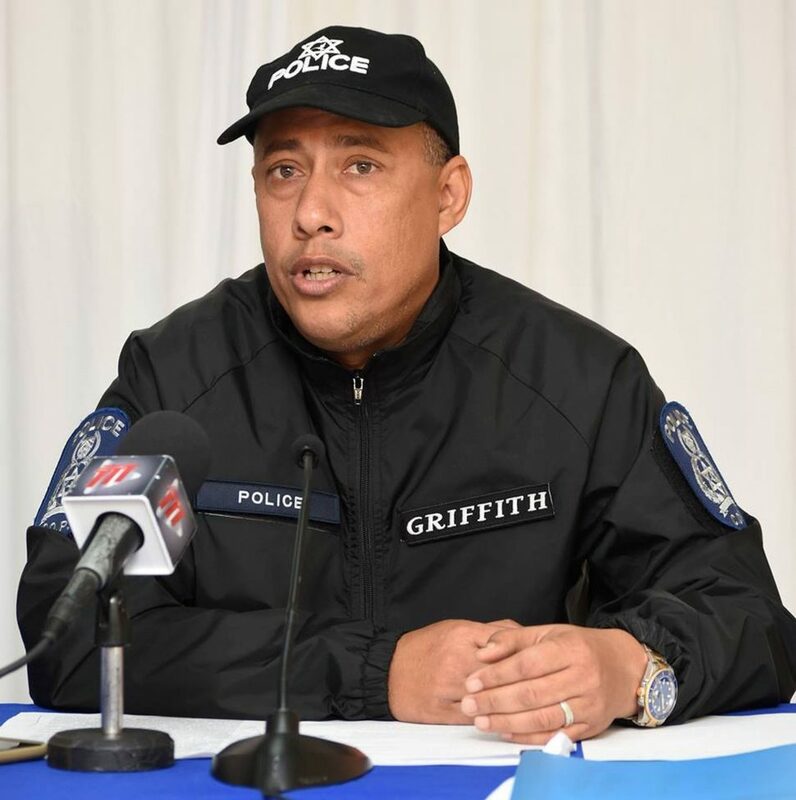 (TRINIDAD GUARDIAN) Al­though he is promis­ing a thor­ough in­ves­ti­ga­tion in­to last night’s killings of five young men in Laven­tille, Po­lice Com­mis­sion­er Gary Grif­fith is warn­ing crim­i­nals not to chal­lenge the po­lice with gun­fire. Speak­ing on CNC3’s Morn­ing Brew hours af­ter the shoot­ings, Grif­fith said, “I am plead­ing with peo­ple not to en­gage in wrong­do­ing. The TTPS will out­gun you. We have greater fire­pow­er, more spe­cialised train­ing, so do not chal­lenge us.” Grif­fith said the po­lice were on pa­trol when they were fired up­on and had to call for back­up. He said the young men con­tin­ued to fire on the po­lice, who re­tal­i­at­ed. Grif­fith al­so said T&T had be­come a law­less so­ci­ety. “We have to check our­selves. Be re­spon­si­ble for your ac­tions and do not jus­ti­fy break­ing the law,” he said. He said the Head of Homi­cide will be in­ves­ti­gat­ing the killings, which oc­curred at 10.20 am at Trou Macaque, Laven­tille. Two of the men killed were iden­ti­fied as Me­shack “Crash” Dou­glas and Kadeem Williams, while an­oth­er was iden­ti­fied on­ly as Shaquille. Grif­fith said the loss of five lives was un­for­tu­nate, adding that the trau­ma­tised rel­a­tives and po­lice in­volved in the shoot­ing will get psy­cho­log­i­cal as­sis­tance to help them cope with this or­deal. “No­body should re­joice over this. 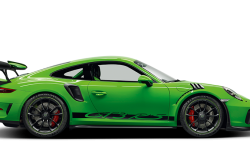 It is very un­for­tu­nate and will be thor­ough­ly in­ves­ti­gat­ed,” Grif­fith said. Mean­while, Prime Min­is­ter Dr Kei­th Row­ley has urged youths to put down their guns and re­frain from at­tack­ing the po­lice. As po­lice put sys­tems in place to pre­vent any re­tal­i­a­tion, Row­ley said there will be more trau­ma if armed young men de­cide to at­tack po­lice. “The loss of any cit­i­zen’s life, through vi­o­lence, is par­tic­u­lar­ly trau­mat­ic for any fam­i­ly and com­mu­ni­ty where it oc­curs. This emo­tion is mul­ti­plied many fold when young men arm them­selves and en­gage law en­force­ment of­fi­cers. This mis­guid­ed ac­tiv­i­ty al­ways has the po­ten­tial to end in un­speak­able tragedy for all in­volved, of­fi­cers and civil­ians,” Row­ley said in a state­ment. Say­ing youths should avoid join­ing a life of crime, Row­ley said they ought to take ad­van­tage of many em­ploy­ment op­por­tu­ni­ties avail­able. “I ap­peal to all our young men who see op­por­tu­ni­ty through the pow­er of the il­le­gal firearm to think again and grasp the oth­er op­por­tu­ni­ties which the coun­try of­fers to all its cit­i­zens,” Row­ley said. 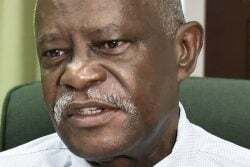 He urged cit­i­zens to em­brace the coun­try’s watch­words of dis­ci­pline, tol­er­ance and pro­duc­tion, say­ing in or­der for Trinidad and To­ba­go to pro­pel high­er a joint ef­fort be­tween so­ci­ety and law en­force­ment is re­quired. “There is no good end to bad deeds, bad com­pa­ny and a life of crime. Our coun­try de­serves bet­ter but to ac­com­plish that goal we all have to want it and com­mit to work to­wards it. Law en­force­ment can­not do it alone,” the Prime Min­is­ter said.